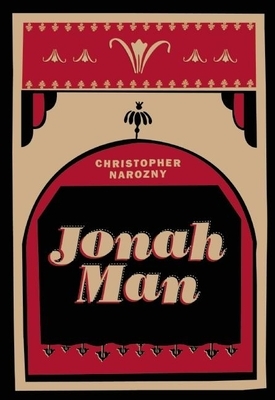 Narrated by a one-handed juggler who moonlights as a drug trafficker, a talented young boy who longs to escape the shadow of his abusive father, and a police inspector whose overzealous efforts to solve a murder result in a series of calamitous missteps, Jonah Man explores the dark side of life behind the curtain, where artists resort to the most extreme measures--including drug dealing, self-mutilation, even murder--to prolong their time in the limelight. Resurrecting the lost language of vaudeville--a "Jonah Man" was a performer who, despite his best efforts, had stalled in his career--Jonah Man is a gripping portrait of people torn between their greatest hopes and fears, while trying to keep reality at bay. Christopher Narozny earned an M.F.A in fiction from Syracuse University and a PhD in creative writing and literature from the University of Denver. His fiction has appeared or is forthcoming in American Literary Review, Denver Quarterly, Marginalia, elimae, and Hobart. While at Syracuse, he won the Peter Neagoe Prize for Fiction, and at the University of Denver, he was awarded the Frankel Dissertation Fellowship for an earlier draft of Jonah Man. He currently lives in Brooklyn, NY.